Trying to identify which articles are my best articles is truly a subjective exercise. I put a lot of thought, research and care into every article I write, but inevitably some articles resonate with readers more than others. I have selected these 20 articles as my best on the basis of the most page views, the most positive comments and the ones I feel contain the most valuable information. The Best of Both Worlds: The Pros and Cons of the Snowbird Lifestyle – Information about being a snowbird is also a frequent search topic, and I think this article covers the subject in more depth than most others. 21 Retirement Communities for LGBT Seniors – This article has gained a lot of readership over the past few months. I suspect that it is linked from several other websites. This is a hot topic for LGBT baby boomers as they approach retirement. The outbound links in this article are clicked practically every day – more than in any other article. Smooth Sailing Through Retirement: Could Living on a Cruise Ship Be Your Utopia? – A couple years ago, a meme was forwarded and shared widely via email and Facebook which alleged that retiring on a cruise ship was cheaper and better than living in a retirement home. The meme was loaded with erroneous information and false comparisons, but it was popular and it drove a lot of traffic to this article. This article was also linked from several cruise-related forums, which helped a lot. 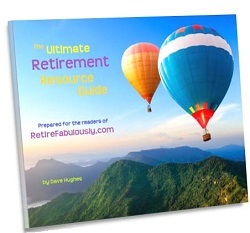 The Retirement Party – This article is another Google goldmine. There are surprisingly few articles written about planning a retirement party. Fabulous Places to Retire: Spain – Spain is a delightful place, and definitely a good choice for a retirement destination if you’re looking to retire overseas. How to Survive and Thrive as a Single Person in Retirement – This is one of my most-requested topics. Most retirement articles are written with couples in mind, and single people have some unique challenges. Even if you have been married for years, keep in mind that when one of you dies, the other suddenly becomes single and may be totally unprepared. Fabulous Places to Retire: Colombia – For whatever reason, this article attracts a lot of search results. I do think that post-drug-cartel Colombia has a lot going for it, and everyone I know who has been there (three of whom contributed to this article) loved it. Your Retirement is a Journey, Not a Destination – This article struck a chord with a lot of readers, which honestly surprised me a bit. Quite a few people found this to be uplifting and inspirational. 4 Reasons Why I Won’t Be Moving to a 55+ Active Adult Community – This is, perhaps, my most opinionated and potentially controversial piece. I live in Phoenix, and there are dozens of 55+ active adult communities ranging from the venerable Sun City to age-restricted mobile home parks. I wouldn’t live in any of them. Apparently, a lot of people agree. I predict that these places will fall upon very hard times in the next 10-20 years, since baby boomers seem to want a very different retirement lifestyle that their parents’ generation. Is It Time to Retire the Word “Retirement?” – This is one of the cornerstones of this website. Retirement is a term that is loaded with baggage for many people. In this article, I suggest that you view the stage of your life following your working career as your “Renaissance.” This has resonated well with people. 4 Essential Ingredients of a Balanced Life – Another piece of cornerstone content. 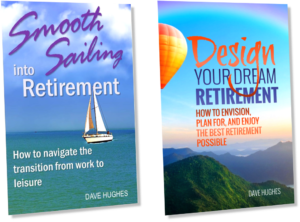 You have many, many choices for what you can do with your life during your Renaissance/Retirement, but I feel strongly that you need to satisfy these four criteria to enjoy a happy, healthy and fulfilling retirement. 8 Conversations Every Couple Needs to Have – It’s surprising how many couples have widely divergent views on how they hope to spend their retirement. It’s also surprising (and disappointing) how many couples haven’t talked about this. 8 Surprising Ways that Retiring Can Stress You Out – And How to Conquer Them – The transition from working to retirement is a period that involves many more changes and adjustments than most people realize. For many people, it’s a stressful, disruptive and difficult experience. This article will help you anticipate and address all of the rough spots you may encounter. Where’s the Best Place to Retire? – A couple years ago, I polled readers of this website for their opinions on what criteria matter most when selecting a place to live when you’re retired. The results contain some valuable wisdom and some surprises. “How Much Money Do I Need to Retire?” – This is one of the most frequently asked questions. While this is not a financial advice website, I felt that this is an important topic to address. In particular, I contend that one-size-fits-all retirement formulas (for example, that you’ll need 80% of your working income to live on in retirement) don’t fit most people at all. Your circumstances are unique, and so are your financial needs. 8 Things That Matter More Than Money for a Happy Retirement – Let’s face it – most of us wish we had saved more for retirement. But the best things in life (including retirement) are free or at least inexpensive. 10 Tips to Help Your Marriage Survive Retirement – Many marriages encounter turbulent times during the first two years after one or both spouses retire – both because the partners may realize that their retirement dreams are different and because they did not anticipate the changes and challenges that come with retiring (see articles above). 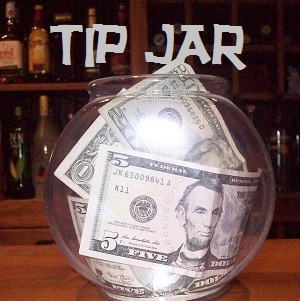 These ten tips will help. 7 Tips for Thriving as a Mixed-Retirement Couple – In many cases, one spouse will retire before the other one. This scenario can cause a lot of difficulties, but these strategies can help you navigate this situation.